Take charge of your school today with What Successful Principals Do! 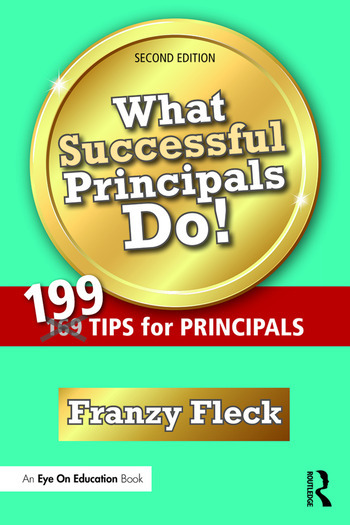 In this friendly, energetic, and engaging book, Franzy Fleck draws on his experience as a principal to share dozens of practical strategies for running a successful school. Organized into manageable chapters, Fleck’s advice is both powerful and realistic. In this second edition, you’ll find 30 additional tips covering the most timely issues, as well as 13 bonus tips! Franzy Fleck is a Superintendent in Chicago, Illinois. During his career as an educator, he’s been a junior high teacher, dean, elementary principal, middle school principal, and curriculum coordinator.